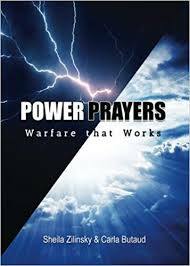 Through the Power of God’s Spirit I was being delivered by demons that came in through sexual perversion. My inner child of me at 3 and 4 years old went to be with Jesus in heaven. Jesus held me in His arms. I was so happy as a child. I made a banner saying I LOVE YOU JESUS and we played ball together. I broke the ungodly soul tie between me and my father. I broke the curse and healed my inner child with Pastor Mark Chase tormented the demons with the Holy Bible and had them bow down to Jesus Christ. Great deliverance! THANK YOU JESUS FOR YOUR LOVE! Deliverance is not just casting out of evil spirits. God wants to prepare us for the evil–to show us what the evil spirits will be doing in the future. The demons through the Holy Spirit gets them to spill the beans. God always has bring the message to show them things to come–He knows the future for you and can show us how to prevent what could be coming on you. A demon said he was putting diabetes, cancer, and other sickness on me. Now I can prevent diabetes from not drinking soda that causes cancer. DO NOT MULTI TASK. Jesus told me this the other day, do one thing at a time and they confirm this in this video as well. Multitasking hurts your brain. 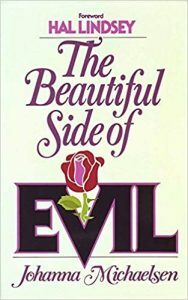 The author of book “The Beautiful Side of Evil”. I just bought the book “Like Lambs to the Slaughter : Your Child and the Occult She was a former New Age practitioner like me. A TRUE RELATIONSHIP WITH JESUS WILL PROTECT YOU FROM SPELLS OF THE DEVIL. YOU HAVE TO PRAYER, FAST AND BE IN HIS WILL TO BE PROTECTED.